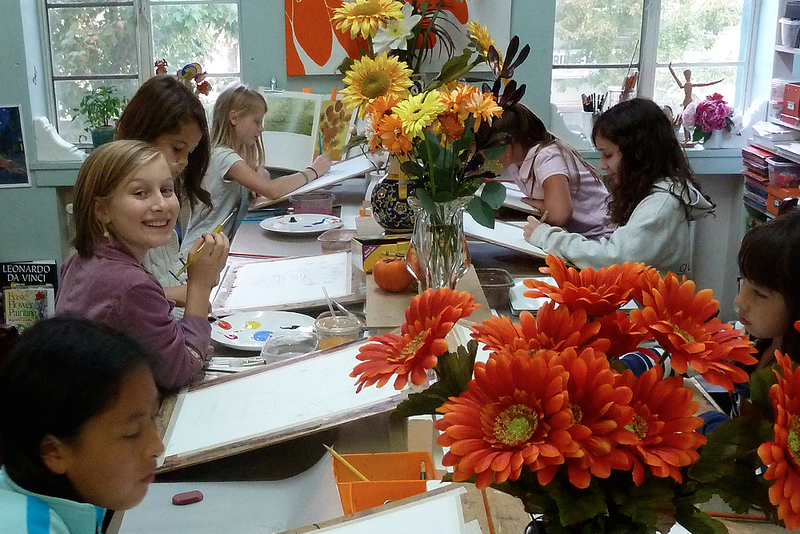 Students learn the basics of drawing and painting with an emphasis on fun. The first two weeks of the month are focused on drawing and the later weeks on painting. Students work with various mediums, including charcoal, watercolor, tempera, colored pencils and watercolor pencils. More advanced students can work in acrylics, pastel, oil and collage mediums. Form, perspective, shading, cartooning, and painting methods are discussed as part of instruction. Biographies and works of master artists are also discussed during classes. Once a week classes are offered year round. Sign up any time! Summer classes are available on Wednesdays or Thursdays from 1:00-2:30. Fall, Winter and Spring classes are available Monday - Friday from 3:30-5:00. 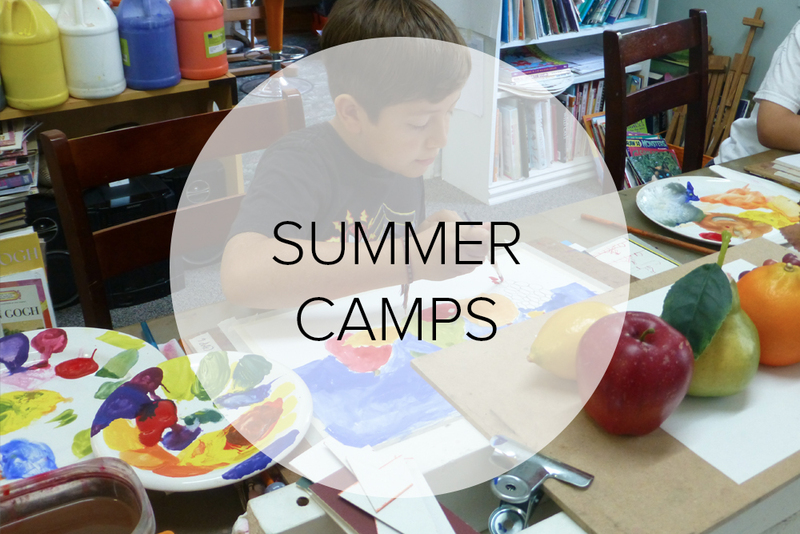 Classes for homeschooled children are on Tuesday, Wednesday or Thursday from 1:00-2:30. 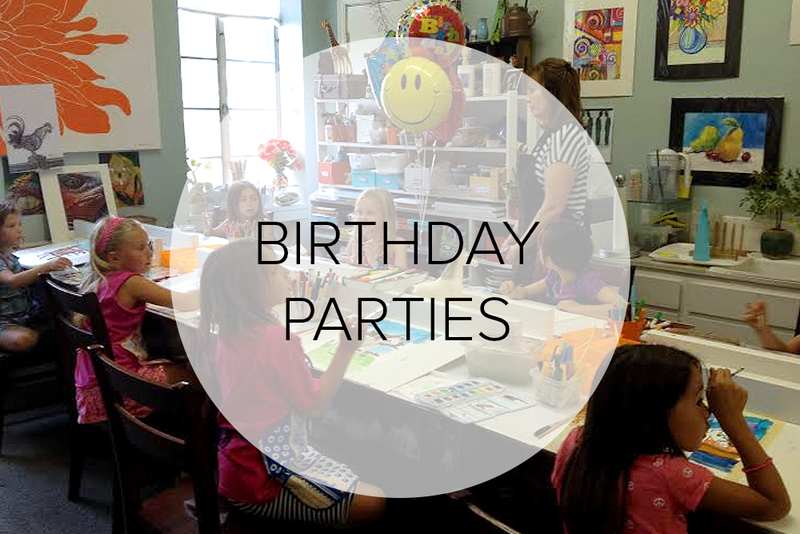 A Saturday class from 1:30-3:00 is also offered. Class size is limited, allowing individual attention. Tuition is $30 for 1 ½ hours of instruction and is due monthly. Supplies are included for beginner and intermediate levels. There is a one-time $25 registration fee for new students. Drop in rate is $35. Private and semi-private lessons are also available, please inquire.